There were 652 press releases posted in the last 24 hours and 153,549 in the last 365 days. 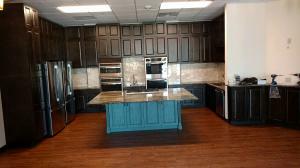 Superior Cabinets by Vivaldi just completed the cabinetry for Global Imaging Center in Sugar Land. They used Lockdowel strong, snap-in fastening with no screws or glue. Houston Cabinet company rebuilds South Texas with fast, snap-in cabinet fastening, requiring no screws or glue. HOUSTON, TEXAS, UNITED STATES, March 14, 2018 /EINPresswire.com/ -- Superior Cabinets by Vivaldi announces the completion of the cabinet work for Global Imaging - an MRI Center in Sugar Land, TX - using Lockdowel’s strong, snap-in fastening. Lockdowel enabled Superior Cabinets by Vivaldi to build their cabinet boxes 60 percent faster than their previous fastening method using screws and staples. The company decided in December of 2017 to use Lockdowel fastening for their cabinetry assembly. Superior Cabinets by Vivaldi has been the “go to” cabinet builder in the Houston area for apartments and hotels, but now the company has seen an increase in residential cabinetry as they repair homes damaged by Hurricane Harvey. “We are in the middle of a project that consists of 150 flooded townhomes using Lockdowel EClips fastening. We were especially pleased with how easily the finishing and assembly went,” Khanna said. The two companies look forward to a steady, busy 2018 and 2019, with the Hurricane Harvey Houston-area rebuild. In addition, Superior Cabinets by Vivaldi will continue supplying cabinetry and installation, nationally, for hotels and apartment complexes.